The McDonald's Apple Pie McFlurry. 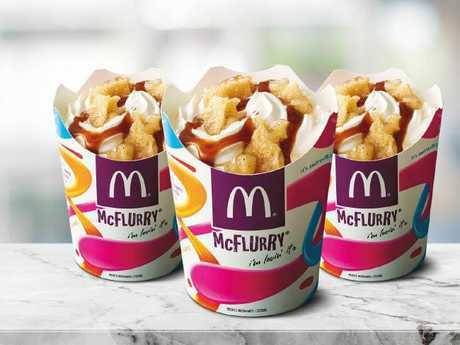 McDONALD'S has today launched a new menu item, the Apple Pie McFlurry, in a collaboration with UberEats. 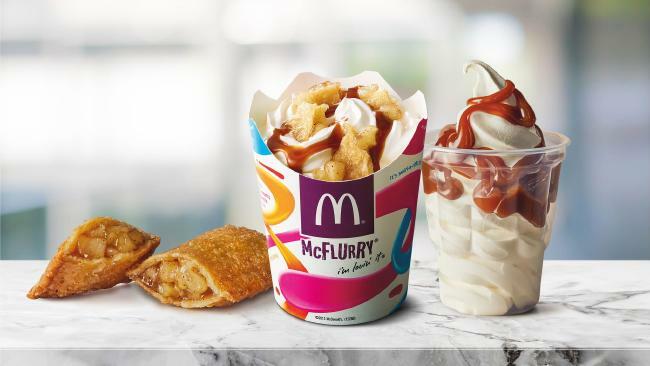 Maccas says one in four people who order an Apple Pie on Ubert Eats also order a Sundae, so they decided to launch a hybrid of the two desserts to save customers from having to "hack" the menu with their own inventions. The McFlurry's vanilla soft serve ice cream will be topped with pieces of apple pie and warm caramel sauce. The McDonald’s Apple Pie McFlurry. The menu item is only available on Uber Eats from today until Tuesday, September 4, but from next Wednesday it will be sold in all McDonald's restaurants around the country. 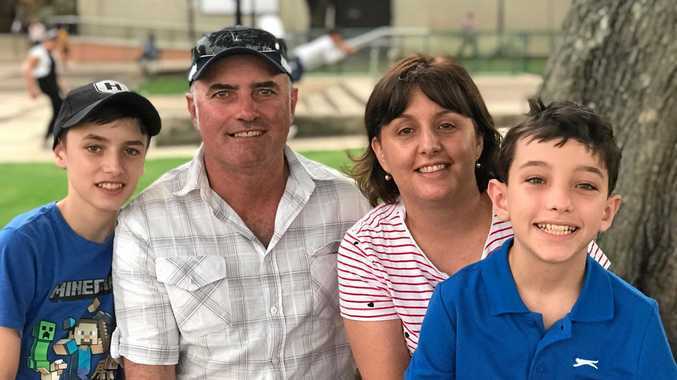 In honour of this popular menu hack landing a permanent spot on the Maccas menu, we've rounded up 10 of the best McDonald's menu hacks. You're welcome. That's right: this is beef, chicken and fish stacked in one bun. Ask for a burger, Filet-O-Fish and a McChicken. Private assembly required. Order a garden salad and a single chicken patty. You will need to DIY the cutting of the chicken but once that's done you've got a delicious chicken salad for just a few bucks. Read: The poor man's McFlurry. M&M's can be substituted for any topping. Have you ever noticed how the Filet-O-Fish bun is different to all the others? It's lighter and more pillowy because it's steamed rather than toasted like the regular sesame bun. You can add Big Mac sauce to anything: nuggets, fries, wraps, salads. Honestly why wouldn't you? Soft serve + apple pie = happiness. It's a proven equation.